Since the 1950s, the neighbourhoods of Gare du Nord (the North Station) in Paris have been home to many migrants from the Indian subcontinent and their inseparable cultures. Many a country receiving Indian migrants has witnessed, since decades, new zones emerge, dominated by the Indian population. These zones are often baptised ‘Little India’ and have become places of confluence of the rich and vibrant Indian cultures and those of the host nation. 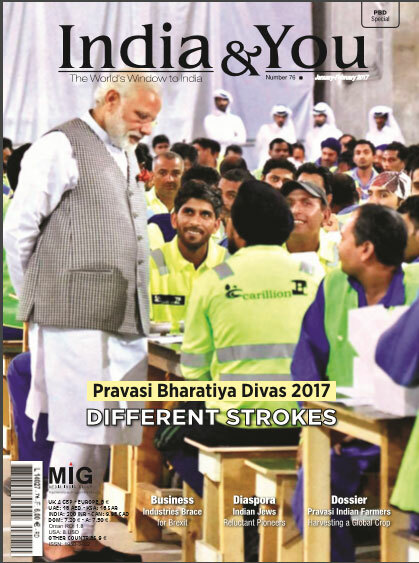 For the Indian diaspora living in these regions, it is literally their home away from home – there is no struggle to find authentic home food; they can visit a temple to practice their religious rites; or buy ethnic attires from local shops; or even celebrate festivals with just as much grandeur and fervour as at home. Whether it is New Jersey in the United States, or Southall and Wembley in London, or yet, the Phahurat Market in Bangkok, the world map is abundantly dotted with Little India. And one such case is that of the 10th arrondissement in Paris. In the beginning of the second half of 19th century, an Indian locality in the 9th arrondissement of Paris was budding. The locality was mainly composed of Parsis and of jewellers from the Indian states of Gujarat and Mumbai who would often run their own businesses. As more Indians from Pondicherry and many Sri-Lankan Tamils arrived in the 1970s and 1980s, the regions between North Station and East Station (Gare de l’Est) transformed rapidly into Indian/Asian localities, where entire streets like Le Faubourg-St-Denis and the Brady Passage would be lined by Indian shops and stores. And today, these shops, nestled amidst the labyrinth of streets of Paris, have become a window to Indian culture for the French. From clothes to culinary specialities, the vibrant colours and the invigorating scents of the shops transport its visitors, French or foreign, to a place thousands of kilometres from Paris. Every day, from Monday through Sunday and from morning till midnight, the streets are abuzz with hundreds of visitors who come to discover and rediscover this exotic place. Taste a ‘rose lassi’ (yogurt-based drink with rose flavour) at Muniyandi Vilas – an Indian and Sri Lankan specialty restaurant; indulge in some ‘cheese naans’ (traditional flat Indian breads stuffed with cheese); offer yourself a pot of ‘biryani’ (a flavoured rice dish with spices, vegetables and meat); or even run errands at VS Cash & Co, or VT Cash & Co, local grocery shops known for its range of imported products, or finally, shop at Little India, a boutique for saris and other traditional Indian wear – the options are aplenty. Paris saw its first wave of migration in the neighborhood of La Chapelle, after India’s independence in 1947. This was however, not random fate. Due to its proximity to the North Station, from where the trains leave for the UK, La Chapelle is a halting stop for travellers going to the other side of the Channel. As the UK then refused to welcome new immigrants, many found themselves settling down in the vicinity of the North station. Soon after, others arriving with similar pursuits ended up joining the rest of the unwelcome lot. As for Sri Lankan Tamils, they arrived after 1960s to escape the civil and military wars that were raging back home. It was in 1985 that the Sri Lankan Tamils built the Manicka Vinayakar Alayam Temple, dedicated to Lord Ganesha, the God of knowledge with an elephant-like head and a large pot-bellied human body. Every year around the month of August or September, a procession takes off from this temple to celebrate Ganesh Chaturthi, a Hindu festival honouring Lord Ganesha. At Brady Passage , Indians from Pondicherry (a former French colony in the South of India) were among the first to set down their bags. This old arcade, 200 metres in length and separated by the Boulevard Sébastopol, has since witnessed many shops spring up. Many of the stores were first set up by Sikhs (followers of Sikhism, mainly from the northern State of Punjab) who arrived in a bid to escape the communal tensions in their regions, and soon after by Pakistanis. Today, the Brady Passage harbours myriad restaurants, beauty shops and groceries where the scent of the Indian spices like turmeric and saffron drifting in the air make this visit a highly aromatic one. As France is plagued by a persistent economic crisis, many merchants have been complaining of poor demand. On the Faubourg-St-Denis Street, Krishna Dev has been running a small shop since 2001 where he sells Bollywood DVDs. But now, he is confronting an underhand competition, “In the recent years, the piracy on Internet has put the DVD business at a disadvantage.” Vali Bala, from the Indian state of Kerala (South), owns a garment shop since 1993. “Earlier, we had seven people assisting the clients. However, with the sales declining in the past few years, only three of us are left to run the boutique. Nevertheless, good news is that we have now a new clientele since the last few years. Many north Africans and French have been frequenting our shop,” explains the forty-year old owner. Another quality of this community is the mutual help, which the people offer without a moment of hesitation, in times of crisis. Kaj, who is running his father’s DVD shop, explains how their community understands the importance of solidarity, “If ever we encounter a problem or need help, we can always ask our neighbours. We have known each other for years now. We are like a big family that is settled here to explain our culture better to the French”. These communities, from faraway land of the Indian sub-continent, settled in the very heart of Paris, hope to continue transmitting, for a long time to come, their cultural heritage rich in colours and well, spices. Messy, overpopulated and unorganised, the Little India in Singapore stands in a sharp contrast to the rest of the city which has a hyper-organised feel to it. “It is an authentic representation of India. People follow typical Indian lifestyles. They indulge in a good old cup of ‘chai’ (tea) in the mornings and in the evenings, as is customary in India. On the pavements or the footpaths, the path is often blocked by gunny sacks filled with spices like cardamom or dried chilli, or even lentils. It is true that the air is scented with the aroma of incense sticks”, says Anurag Jha who spent four years studying in Singapore. Of the most prominent features of Little India in Singapore, are without doubt its cheap restaurants offering local delicacies. The ‘Usman Restaurant’ is especially frequented for its tandoori chicken. The festivals, especially Diwali, the festival of lights, have an animated and spectacular celebration here. “The streets are beautifully lit and are thronged with Diwali decorations, diyas (clay oil lamps), crackers and idols of gods and goddesses. Many are imported from India itself,” continues Anurag Jha. The celebrations are not only a treat for the Indian community but for tourists and others from Singapore as well, who arrive in large numbers to be a part of it. 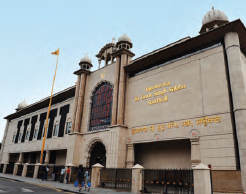 Even as one leaves from the Southall station, the presence of India becomes quite evident – the sign boards welcome you in Punjabi and a Gurudwara (a Sikh temple) stands tall, barely a few steps from the station. Little India in Southall is composed largely of the Sikh community, from the Punjab region of India, who arrived here 50 years ago. Many were workers who had worked for the British Empire in Uganda and chose to come back to England as citizens instead of returning to India, following the British Nationality Act, passed in 1948. Without surprise, a walk down the lanes of Little India in Southall resembles those in Punjab. Shops sell Bollywood DVDs and latest bhangra albums (Punjabi music), fast food vans sell mutton rolls, samosas (deep fried potato filled snacks) and kulfis (frozen dairy dessert). Indian food chains like Sarvana Bhawan, popular for serving authentic South Indian delicacies, and the Punjabi food giant Moti Mahal, are abuzz with those still attached to the culinary roots of their home. Supermarkets like Quality Foods sell all the Indian staples like lentils, chapati (Indian flat bread), basmati rice and the indispensable spices.